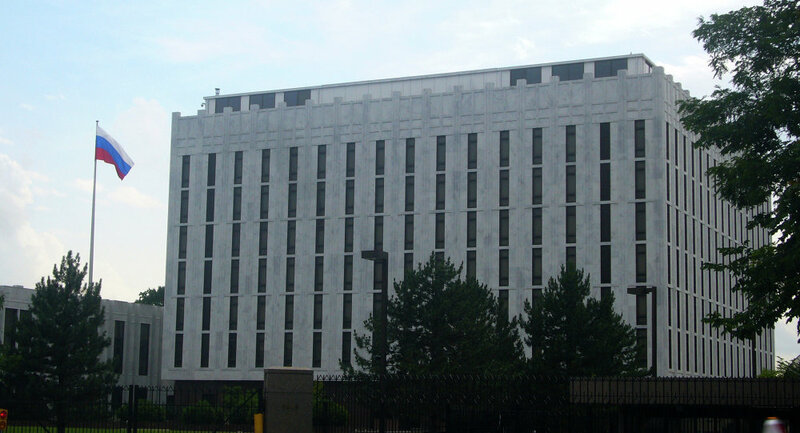 WASHINGTON (Sputnik) - Russia's Embassy to the United States is investigating reports that a Russian national died in US immigration custody last week in what could be the second such incident in under a month, according to a Twitter statement published on Thursday. "The embassy received information about the death of a prisoner in an immigration facility in Baker County in the state of Florida, presumably a Russian citizen. According to information provided by US authorities, G. Y. Volkov passed away in a medical center in Jacksonville, Florida," the statement said. The US Immigration and Customs Enforcement (ICE) agency announced on Monday that Guerman Volkov, a 56-year-old who ICE said was a Russian national, died at a hospital in Jacksonville after being held at Baker County Detention Center. The Russian Embassy said it was still trying to determine whether Volkov was indeed a citizen of Russia. The embassy is also working to uncover more information about the case, including the circumstances and cause of Volkov's death, as well as the contact information of his relatives. ICE said Volkov was taken into its custody in June 2017 after overstaying his non-immigrant visa. The US agency said the official cause of death remains under investigation but is believed to be "cardiac-related natural causes." Volkov could be the second Russian citizen to die in ICE custody in the past month, after Russian national Mergensana Amar, age 40, passed away on November 18 in Tacoma, Washington. Amar had been held at the Northwest Detention Center in Tacoma, Washington, since attempting to illegally cross the US-Mexico border in 2017. In the months before his death, he had gone on a weeks-long hunger strike to protest against his ongoing detention, the local immigration rights group NWDC Resistance has said. ICE said Amar, who was facing deportation, attempted to take his own life and was found unresponsive in his cell on November 15. The US immigration agency has listed the official cause of death as "anoxic brain injury due to asphyxiation" following a suicide attempt, but the Russian Embassy on Wednesday said it was still investigating the circumstances of the incident. Volkov was the third person to die in US immigration custody in Fiscal Year 2019, which began on October 1, after the deaths of Ammar and Cuban national Wilfredo Padron, according to ICE.